OH! MY! GOODNESS! I’m on tumblr! Rick says, I’m tumblin’ through life! 🙂 I set up the account all by my onesie! 🙂 If you are on tumblr, come on over for a visit or stay awhile. I’m new, so I don’t have much on there. Delaney works in a museum in Kansas. As a result of budget cuts, she looses her job. Well! I was not at all surprised when she packs her bags and moves to Scotland to work at a bookstore in Edinburgh ~ and a mighty fine bookstore it is! What a shop to explore! :)Shortly after she arrives in this interesting country, someone is murdered. Delaney – loaded with determination – won’t stop until the mystery is solved. I really really enjoyed this story. What an adventure! Delaney is a little quirky but up for the challenge of relocating and living in a new country. I liked her. However, my favorite characters were Elias, the cab driver, and his wife Aggie. They were so warm, friendly, and hospitable. They received Delaney with open arms and were always available to help in any way they could. There was so much mystery inside this mystery. Edwin, the owner of the bookstore, was an enigma. Hamlet, the thespian, definitely had a mysterious quality to him. The auctions were mysterious. Edwin’s friends seemed hidden, in a sense, and unexplained. And Edinburgh has it’s own unique baffling qualities. This story held my attention! I am so ready to board a jet and travel to Scotland! Enjoy! 5***** mysterious stars! David Carrigan of the Northwest Mounted Police, is a man on a mission. He has been given the task of tracking, locating and capturing the outlaw Roger Audemard. While David is on his quest to apprehend the criminal, he is shot and becomes ill. In a fog of injury he realizes a woman shot him and the same woman nurses him back to health! David falls in love with her, only to discover she is another man’s wife. Well! This was a good story. It’s adventure, romance and mystery. There are twists and surprises in the story. And Curwood, once again, carries it through, and brings it all together in the end. 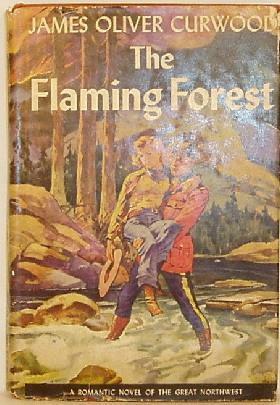 The Flaming Forest became a silent film in 1926, starring Antonio Moreno an Renee Adoree! 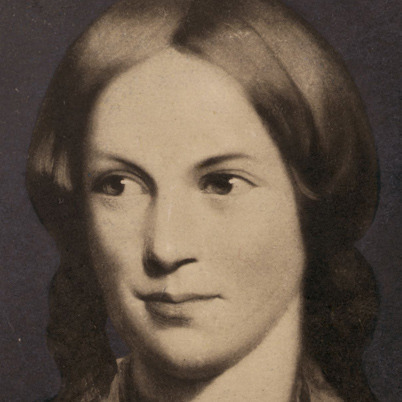 This lovely lady wrote “Jane Eyre,” one of my favorite classic novels. With the warmth of spring, the park near our home is blessed with more activity. So, for top ten Tuesday I have created a list of activities I have enjoyed observing or participating in at the park. Enjoy! ~ Weddings. With the warmer temps, it is not uncommon to see a wedding in the park every weekend. My favorite wedding ~ the bride and the groom drove away on a scooter/vespa! Oh yea! He was wearing his tuxedo and she was fully adorned in her wedding gown. He was driving and off they went. It was great! I loved it! ~ Family Reunions, picnics and birthday parties! ~ Owners training their dogs, or maybe, dogs training their owners! ~ Church services are very common in the park. ~ Story telling and plays for children. This is very popular. It attracts children from all over the city. ~ Friends tossing Frisbees to one another. Below ~ My awesome photography of flowers in the park. This photo is from the spring of 2015. We have a vintage typewriter with a “L” key that doesn’t work correctly and a strange man demanding to purchase it. Later strange man is discovered dead. It was a good mellow murder mystery. ****4 stars. No gangbusters or shoot ’em up type stuff. No cavalry coming to the rescue ~ well, maybe a little. This is the first book in this series. 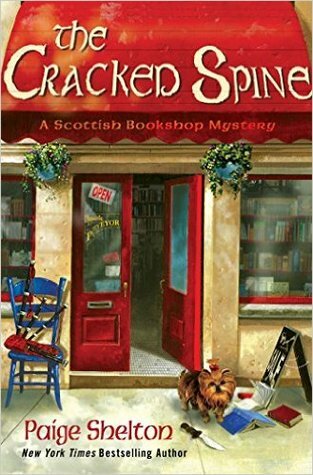 Clare is our amateur sleuth and Jodie is her best fiend and local police officer. The two women grew up together in Utah. They make quite a pair. Back in the day, Clare’s Grandpa Chester started a business to repair typewriters. Grandpa expanded his business through the years. This unique shop is called, The Rescued Word. They restore old books, sell high end paper products and “modern day writing instruments.” Oh yea, they continue to repair typewriters. Grandpa also has a replica of a Gutenberg printing press. Yes, they do use the printing press. Clare runs the business now and enjoys her work. I like this business. I would work here. Yup, I would. This small town has other interesting businesses. One man in town teaches Latin. That’s right, Latin. I would sign up for his classes! 🙂 Yes I would. I would be speaking Latin to everyone I meet. Then we have mines and a geologist, goats and bikers. Yes, it is an interesting cozy mystery. I gave it four stars because it has a couple of very minor things that made me crinkle up my nose *haha* but I enjoyed the book. 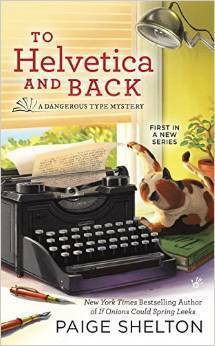 Have you read “To Helvetica and Back?” I’d love to hear from you. This month’s selection is ~ A Description of a Lady in Literature ~ I chose Lady Eowyn from The Lord of the Rings, The Two Towers and she’s also in The Return of the King.. Eowyn is my favorite character in Tolkien’s books. She’s strong, she loves her people. She faces her fears and has amazing passionate patriotism. She feels and hurts deeply but does take time to heal. 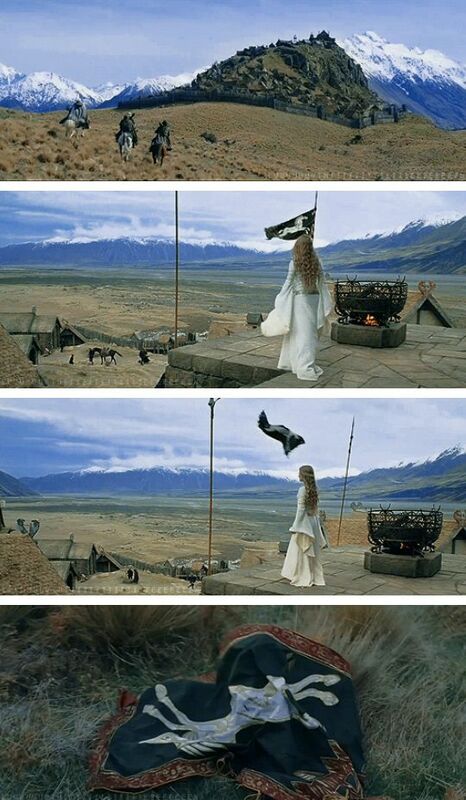 Most of you know how she rode into battle with the army of Rohan and faced the witch king Angmar. Later she met Faramir, they fell in love and became one of my favorite couples in fiction. I love her. She’s amazing.